Our Board of Directors established the Legacy Fund in 2010 to build a sustainable method of operating our association. Once realized, the fund’s interest dividends will be used to support operational expenses, thus providing us the opportunity to give more of each dollar we earn directly to the park’s educational, research and resource preservation projects. Your donations to the Legacy Fund will forever be held in trust. Only the proceeds from secure and safe investments will be used to maintain our operation. One day in the future GSMA’s business functions will be funded by the Legacy Fund, which means 100% of our proceeds from visitor center sales, membership dues and annual giving campaigns will go directly to the park. As far as we know, Great Smoky Mountains National Park is one of only two parks in the nation working toward a partner-supported endowment of this sort. We're happy to help you give even more in support of the Great Smoky Mountains with less effort. When you choose to give $5, $10, $20 or more monthly, you substantially increase your giving ability. Then, when you feel your donation has reached a point where you're ready for it to stop, just let us know. We'll take care of the rest. When you give $5 a month, your annual gift is $65. When you give $10 a month, your annual gift is $120. When you give $20 a month, your annual gift is a whopping $240! What to give $1,000 in 2019? Sign up for a monthly $84 gift to the Smokies. Many companies offer a matching gift program to their employees to encourage support of organizations likeGreatSmoky Mountains Association. If you do not know if your employer is a matching company, please check with your human resources department. Please include your matching gift form with your donation or mail it at the time you make a donation to: GSMA, P.O. Box 130, Gatlinburg, TN 37738. Your support is greatly appreciated. Sample Language: I give and devise to Great Smoky Mountains Association (Tax ID #62-0576032), located in Gatlinburg, TN, all (or state a percentage) of the rest, residue, and remainder of my estate, both real and personal, to be used to further its Legacy Fund growth. Naming Great Smoky Mountains Association as a beneficiary of a specific amount from your estate is easy. Sample Language: I give and devise to Great Smoky Mountains Association (Tax ID #62-0576032), located in Gatlinburg, TN, the sum of $___________ (or asset) to be used to further its Legacy Fund growth. Great Smoky Mountains Association or its affiliates can be named as a contingent beneficiary in your will or personal trust if one or more of your specific bequests cannot be fulfilled. Sample Language: If (insert name) is not living at the time of my demise, I give and devise to Great Smoky Mountains Association (Tax ID #62-0576032), located in Gatlinburg, TN, the sum of $ _______ (or all or a percentage of the residue of my estate) to be used to further its Legacy Fund growth. You may nameGreatSmoky Mountains Association (Tax ID #62-0576032), as a beneficiary of your IRA or other qualified retirement benefits. Donors should consult with their tax advisor regarding the tax benefits of such gifts. Naming Great Smoky Mountains Association as the beneficiary of a qualified retirement plan asset such as a 401(k), 403(b), IRA, Keogh or profit-sharing pension plan will accomplish a charitable goal while realizing significant tax savings. It can be costly to pass such assets on to heirs because of heavy tax consequences. By naming Great Smoky Mountains Association as a beneficiary of a retirement plan, the donor maintains complete control over the asset while living, but at the donor's death the plan passes to support Great Smoky Mountains Association free of both estate and income taxes. Making a charitable gift from your retirement plan is easy and should not cost you any attorney fees. Simply request a change-of-beneficiary form from your plan administrator. When you have finished, please return the form to your plan administrator and notify Great Smoky Mountains Association. We can also assist you with the proper language for your beneficiary designation to Great Smoky Mountains Association. GSMA is a 501(c)(3) nonprofit organization. Contributions to the Legacy Fund are tax-deductible to the extent allowed by law. No goods or services were provided in exchange for your generous financial donation. Acknowledgment letters from GSMA are supplied to all Legacy Fund donors shortly following receipt of funds. Our federal tax ID is 62-0576032. You can learn more about the GSMA Legacy Fund, by calling 1.888.898.9102 x325, or by mail to GSMA, P.O. Box 130, Gatlinburg, TN 37738. If you are interested in mailing a donation, please print and send a copy of our donation form along with your payment. Click HERE for a full list of the many ways your donations are helping us preserve and protect Great Smoky MountainsNational Park. You help us manage the "symbol of the Smokies". 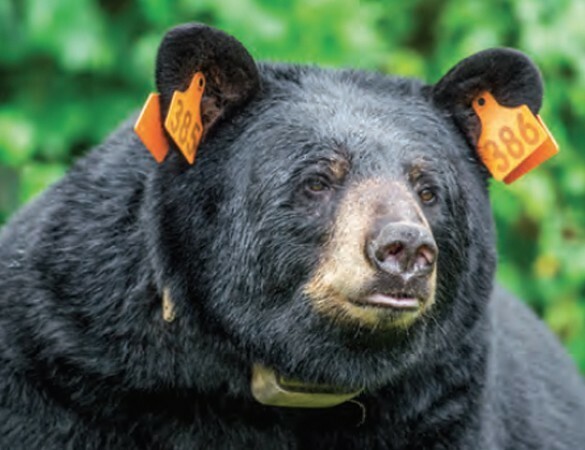 The Lives of more than 1,500 black bears are wild, free, and thriving because of you. 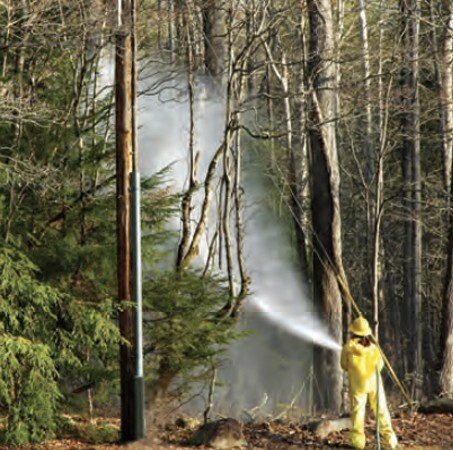 You help us fight pests and invasive species attacking our park's hemlock trees. With continued funding, we are saving a healthy patchwork of hemlocks so that future visitors can marvel at the "redwoods of the east." 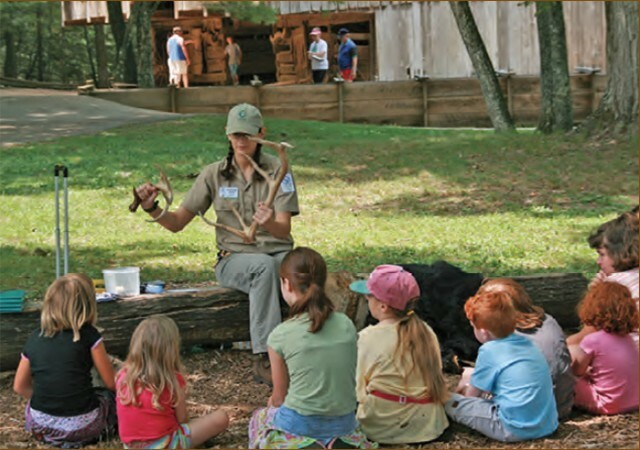 You help us bring thousands of students each year to the park and provide them engaging learning experience by utilizing the park's cultural and natural resources as teaching tools.